Plated half holes（castellated holes）are holes that made off the edge of the boards plated withcopper using a specialized process. 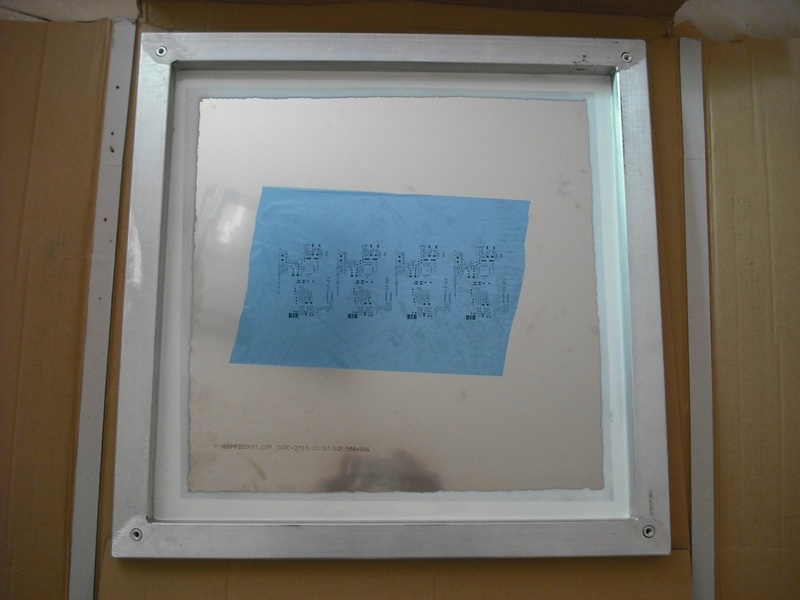 Plated half holes board,we can not V-score it through the line which the plated holes are there. Why？ When V-groove,the copper at the hole will be rolled up,look not well. we have to rout the edge and no mouse tabs at the holes places. Most of the plated half hole PCBs are a type of modules,they are small and high density with fine pitch components ,such as 0402 (even 0201),BGA,QFN parts.The boards are made with GPS modules,GPRS Modules,GMS Modules,Wifi Modules,Bluetooth Modules and other smart modules. An example of plated half holes in gerber. 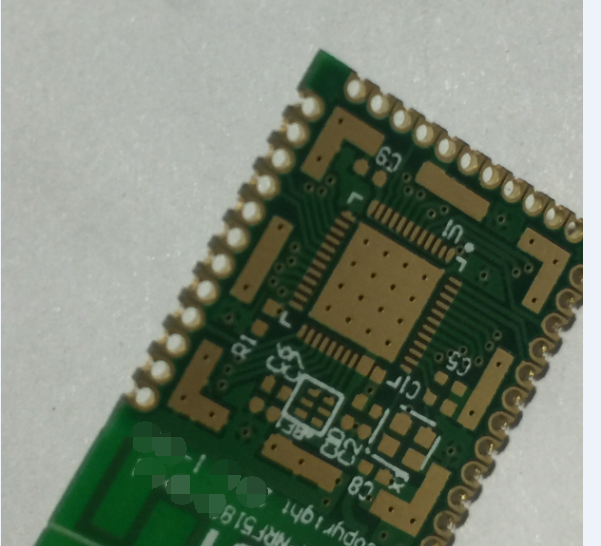 This design is not for SMT loading but also through holes soldering is OK.Besides the plated half holes, there are another row holes to connnect to half holes and they are through. 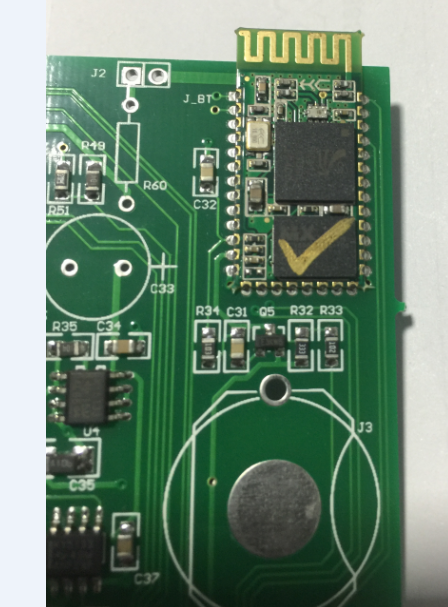 so this new modules can be SMT loading or through soldering. 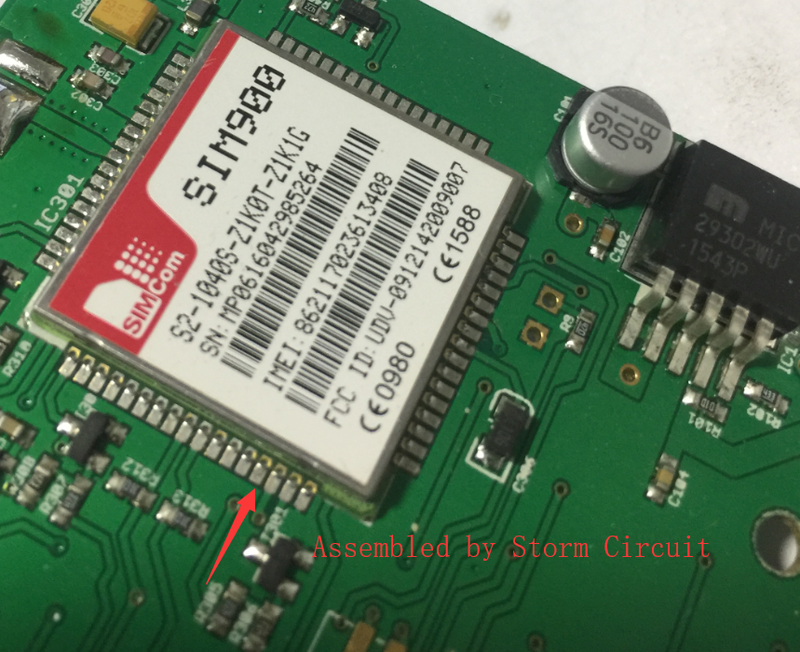 GPRS Modules,assembled to the main board by Storm Circuit.